Thinking he was joking, Barnicle, responded “You’re kidding?” Realizing Johnson was not kidding, Baricle tried to save Johnson’s lack of knowledge by explaining Aleppo was “the epicenter of the refugee crisis” in Syria. Armed with the knowledge that Baricle gave him, Johnson was finally able to answer the question. Russia is currently allied with dictator Bashar al-Assad in Syria. As recently as yesterday, human rights activists published evidence suggesting Assad dropped chlorine bombs over civilian residences in Aleppo, killing dozens, including women and children. 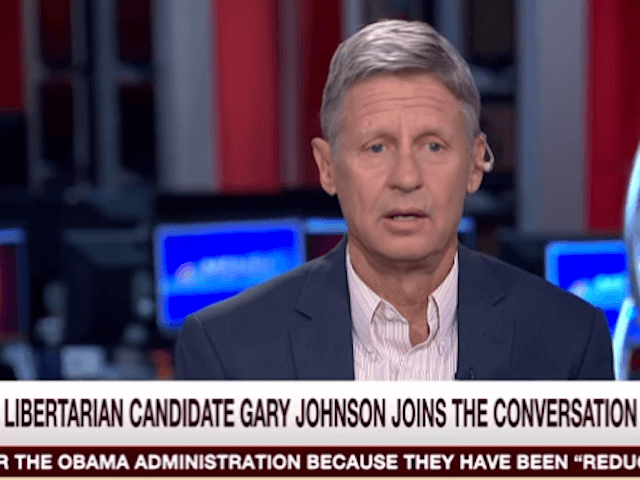 In a follow-up interview with MSNBC host Mark Halperin, Johnson expressed his frustration and embarrassment. “I’m incredibly frustrated with myself,” Johnson explained. He went to point out that he needs to get “smarter” on certain issues. On Wednesday, 2012 Republican Presidential nominee Mitt Romney tweeted that Johnson should be included in the upcoming Presidential debates. Romney has vocally opposed current Republican nominee Donald Trump. As a third-party candidate loosely associated with the American right, Johnson has attempted to attract support to his campaign from Republicans who call themselves the “#NeverTrump” movement. He is currently polling nationwide at around eight percent, but would need to meet the threshold of fifteen percent support to be included in the debates. The Commission on Presidential Debates has set rules that a candidate must reach fifteen percent in five Presidential polls in order to be included on the debate stage next to Democratic nominee former Secretary of State Hillary Clinton and Republican nominee Donald Trump.